We may earn money or products from the companies mentioned in this post. As an Amazon Associate, I earn from qualifying purchases. Nothing costs extra for you. It has been nearly two months since my last post, an upsetting fact because I have so many plans for this blog. Unfortunately, a miscarriage rocked our world, shattering the goals and dreams for our family. Before I get too far ahead of myself, let me back up. Our youngest was only 11 months old when we discovered another child was on the way. It is painful to write this in past tense, but it is a reality I must face. On February 9th, I went grocery shopping alone, an enjoyable experience as a mother of three kids, and picked up a few pregnancy tests. I was late, but since my postpartum cycles had just returned, I didn’t expect it to be positive. I was totally wrong. Walmart tests seem to take forever, but once I stood up, I saw a light line that only darkened. I quickly texted my best friend a picture who freaked out along with me. Another child?! The babies would only be around 20 months apart; that seemed insane. Unable to wait any longer, I told Andrew, as he ate take out hibachi. The fork stopped before he could finish his bite. We hadn’t planned another child, especially so soon. Yet, it was our reality to face. What would any sane mother do? I took around 10 pregnancy tests, one each day, to ensure it was real and that the baby was growing. It isn’t a foolproof method, but the line darkens as the HCG rises. Time went on. We told our parents, who were as delighted and shocked as us. We told our close friends, but didn’t announce to the world. We had plans for that. As the fourth baby, my body reacted immediately. Cramps, back pains and food aversion rocked my world. I was more tired than ever before, not a good thing with three kids always at home. Yet, my body started to grow within a few short weeks. The human body is amazing! My body seemed to say, hey we remember this! Let’s get this show on the road. It was a lovely thing, to see my body responding as it should. However, something felt off. I couldn’t shake the feeling that was something wrong. So, I booked an appointment for an ultrasound. I don’t typically rush to my OBGYN, opting to wait for the 10-11 week mark to have my first appointment. It was the day before St. Patrick’s Day, the day we wanted to announce the 4th leaf to our clover. Caelyn and I zoomed up to Pittsburgh, eager to see the baby and get a picture for our announcement. 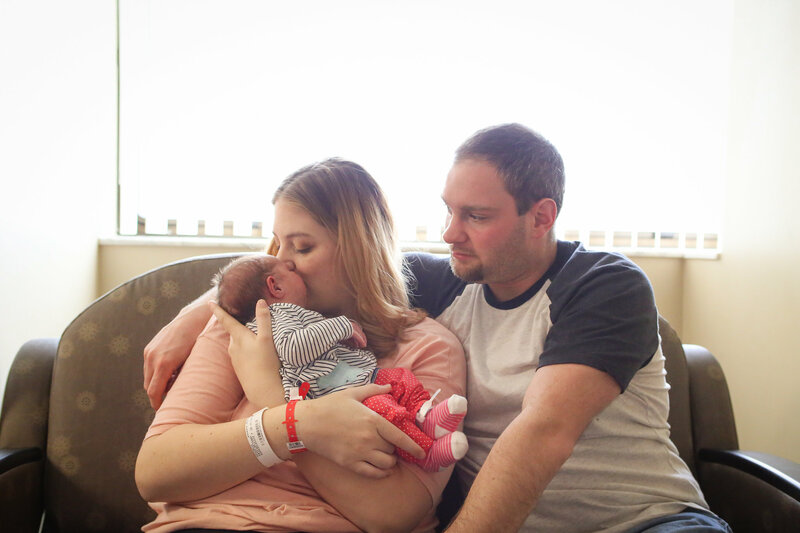 At that appointment, the world crashed around me as I learned the baby had passed away. How could that be? How could my baby be gone when I’m still nauseous? 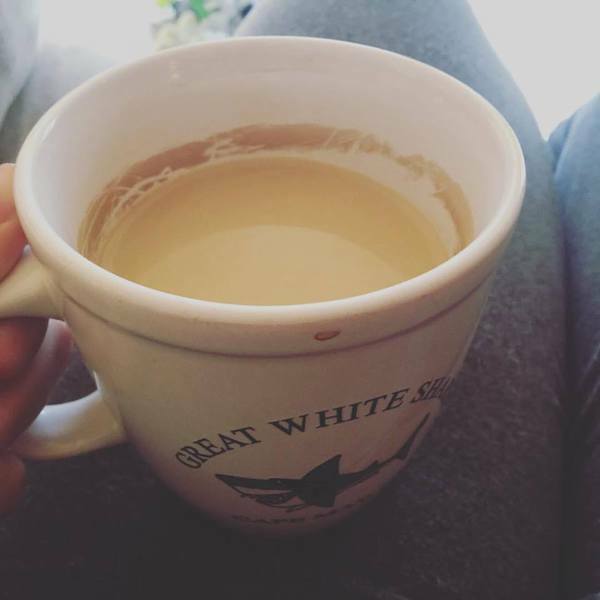 The smell of coffee turned my stomach and nothing tasted right. My womb was growing but the baby had stopped. They encouraged me to call my OBGYN, who got me in the very next day. He confirmed the findings. The next week and a half was a never-ending cycle of bloodwork and ultrasounds. Waiting is horrible, especially for someone who lacks patience, but waiting to lose your baby is a burden I wish none to face. On one hand, the final end means nothing is left. The baby is gone, and the womb is empty. On the other hand, carrying a child that is no longer alive is another type of torture. My symptoms continued as my HCG very slowly declined. 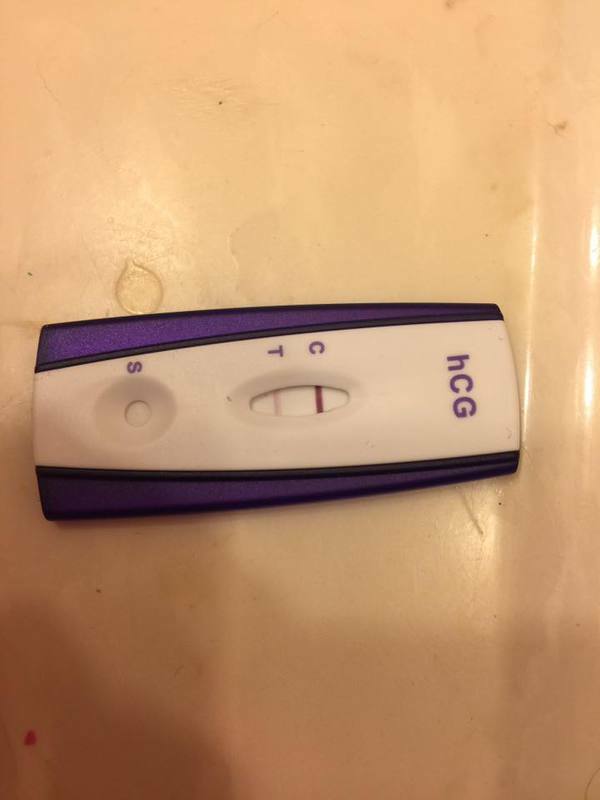 Finally, almost two weeks later, my physical miscarriage began. Apparently, it is a missed miscarriage when it takes so long to take place. Nevermind the name, it is horrid. On a Wednesday afternoon, the bleeding began, followed by five hours of heavy bleeding and cramps that resembled contractions. It slowed down by that night, allowing me to get some much needed sleep. Many people asked me why I opted not to have a D&C. Wouldn’t it be easier just to end the process? For some, yes that would be true. I know myself, and I knew I needed the physical side of it to truly grieve, unless I medically needed a D&C. Despite the mental and physical trial I faced, I am glad my body did what was needed. That Friday, I headed in for more bloodwork and an ultrasound that confirmed the miscarriage was nearly complete. My doctor prescribed me Cytotec to help finish the process. That evening, I watched Moana with my kids, eating pizza and laughing at the songs. Oh, how my heart needed that joy in the midst of sorrow. Over the next few weeks, the bleeding slowed, and life slowly picked up its normal pace. Yet, our lives will never be the same. At the time of my miscarriage, I was over 11 weeks pregnant. I yearn for the child I should feel kicking at this moment. We should’ve known the gender at this point, as I would be over 16 weeks. While the tears have subsided, multiple times a day I think of what should be. Now, a month after the miscarriage, I knew I had to write. Maybe you skimmed this or read it straight through. If I am totally honest, the sharing is more for myself than anything else, a type of closure. Part of the reason I chose to name this blog is because our family was growing to grow and expand. Now, it takes on a new meaning as the pain portion is very more clear. 17: Every good and perfect gift is from above, coming from down from the Father of the heavenly lights, who does not change like shifting shadows. Our child, yet only here for a short period, was a true gift for our family. We don’t know the future of our family, but we do know that God is faithful and loving. Our trust is in Him fully during this period of time. I have cried more tears than I knew was possible, yet spring brings hope for the beautiful future ahead. It felt wrong to start writing again, with no mention of our life in last two months. Now, we can move forward, because I have plenty of goodies in store. Nice to meet you! I'm Bethany, mama to 4 kids and wife to my high school sweetheart. My goal is to help you along your homesteading journey with gardening tips and saving money advice. Natural living is a journey, and I hope you stick around to learn from our tips and tricks. 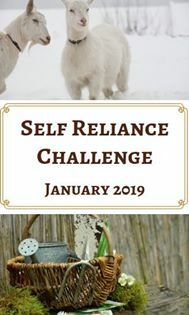 Join The Self Reliance Challenge! Sign Up for Weekly Newsletter!